Today’s customers require low-cost network solutions thatdeliver high speed connections to the Internet andCorporate Intranets while supporting videoconferencingand many other wide-area services.The Network Termination Unit terminate G.703 for all n x 64 kbps rates and connect to thecustomer’s router, FRAD, CODEC, and switcheswith a V.35, X.21, or Ethernet interface. 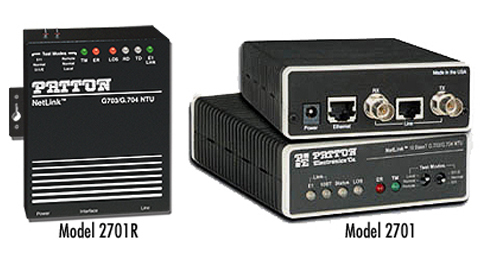 The features of NTU enable customers to extend a router’s serial interface and connect to a remote Ethernet LAN. It uses MAC learning and forwarding to provide seamless LAN-to-LAN connectivity. As a result, corporate enterprises can connect their servers to a pair of NTUs and automatically forward data packets that are meant for the remote network. Local packets are filtered and passed only to the local LAN.